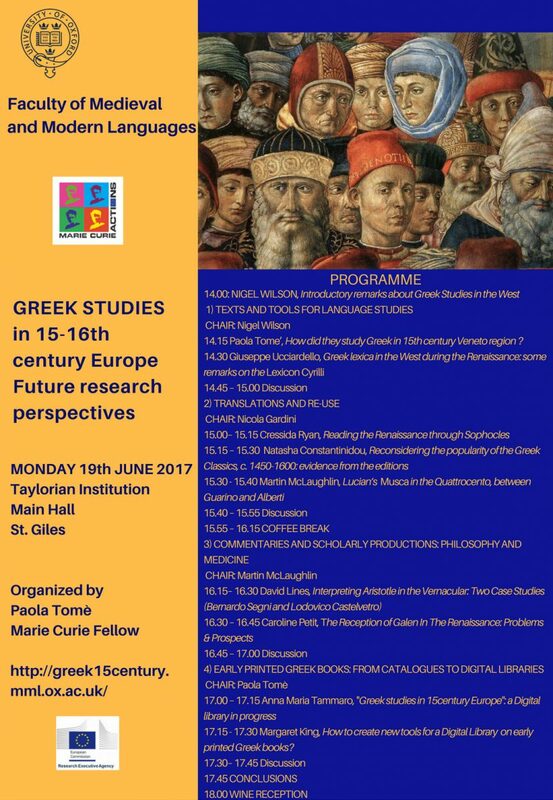 The Conference on “Greek Studies in 15th-16th Century Europe. Future Research Perspectives” is organized by Dr. Paola Tomè, Marie Curie Fellow. 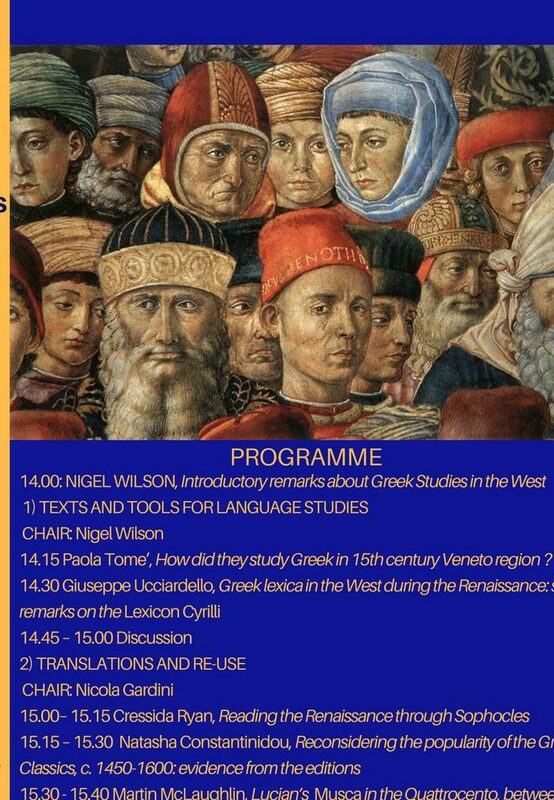 14.15 Paola Tome’, How did they study Greek in 15th century Veneto region ? 17.15 – 17.30 Margaret King, How to create new tools for a Digital Library on early printed Greek books?